Mitchell was back on the floor Sunday after missing the final regular season game due to a thoracic spasm. 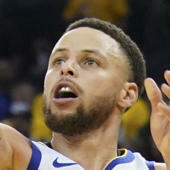 The injury was never considered serious although his efforts Sunday were certainly not at the level required if the Jazz are to go any further in the playoffs. He went just 7-of-18 from the field and failed to hand out a single assist. Game 2 is on Wednesday and he will need to be much better across as aspects of his game.